It is important that programs recognize the value of family engagement by establishing stronger parent/provider and parent/parent relationships. Why? Involved families improve school readiness and cognitive outcomes for children. Families have the ability to utilize their skills and knowledge to help the program. Families view themselves as their child's first, and most important teacher. They are partners with the teacher in the child's learning. Families will establish social connections with other parents. By connecting with others, parents feel they have additional support to improve family outcomes. Families feel more comfortable sharing personal and family struggles. The provider can then connect the family with resources. Involved families improve children's social and emotional development and reduce problem behaviors at school and home. Increased parent satisfaction with the early learning provider reduces child turnover. Parents gain knowledge of parenting, child development, and leadership skills. Click on the links below for templates, samples, and general information. 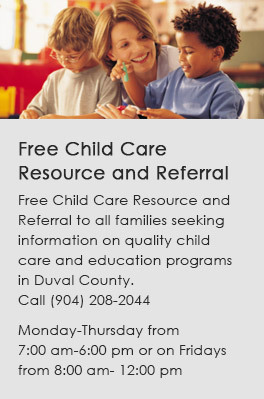 The ELC of Duval developed much of the toolkit, along with the workgroup members. Other items were obtained from outside resources and Internet searches. Engagement Continuums: Will help define what effective engagement is, and the factors teachers and programs should have in place to improve practices. Surveys: Will help develop program goals and improve overall practices. Since parents and families are their child’s first and best teachers, it is important to know about the overall well-being of the family. This allows early childhood professionals to assess a family's needs and provide them with the proper adjustments and/or resources. Obtaining such awareness includes providing an open and friendly learning environment that allows parents and families to freely express their feelings or concerns (Global Work/Life Fund, 2004). Family Well-Being – Head Start Framework article with research on this topic. Community Resource Guide - Comprehensive guide with resources for families and individuals in areas such as adult education, domestic violence, and legal assistance, as well as rent and utilities assistance program. Community Resources – Pictures of various ways to display community resources in your child care center. Invite Community Resource Agencies to Your Center – Step-by-step instructions on inviting community resources to your center. Activities - Examples of activities to host at your center and ways to advertise those activities. Diversity - Suggestions for including diversity and family culture in the program and curriculum. Cultural Awareness - Ideas for increasing cultural awareness at your center and in the classrooms. Recognizing Illness in Children - Tip sheet on recognizing symptoms for common childhood illnesses. Supporting Families During Difficult Times - Helpful tip sheets for parents on various topics including managing finances, feeding your family, bonding with your baby, and being a teen parent. The relationship between a child and his/her family is very important. A child's first experience includes exploring the outdoors with a family member, reading with a parent, cooking with family, etc. When children enter into early child care, those relationships continue and hopefully, early childhood professionals encourage these positive parent-child relationships (Zero to Three, 2010). Parents and family members can also cultivate these relationships through positive interactions with others. This section includes several samples of how early childhood professionals can encourage positive parent-child relationships. Positive Parent-Child Relationships - Head Start Framework article with research on this topic. Learning Activities to Share with Parents - Share activities performed in the classroom with parents and give parents additional ideas to take home to share with their children. Establish a Lending Library - Step-by-step instruction guide to starting a lending library, including flyers, book return, and book check out slips, and a parent agreement form. Planning Family Engagement Events - Includes a basic planning schedule with monthly instructions, printable planning forms, fill-in-the-blank flyers, and a sample itinerary. Parent/Child Photo Display in the Center/Classroom - Examples of different ways to display photos of children and their families within the center. Birth of a Sibling - Instructional article for teachers pertaining to the topic with a printable article to share with parents. Roles of Mothers and Fathers - Article with a comparison of ways mothers interact with children versus the way fathers do so. Increasing Parent-Child Relationships - Handout for parents on building a stronger relationship with their children. Importance of Parent-Child Relationships - Tips for easing separation anxiety and a growth chart that explains what your child is learning and what parents should be learning about their child at a given age. Minimizing Power Struggles - Article to distribute to parents. Separation and Divorce - Instructional article for teachers pertaining to the topic and a printable article to share with parents. Understanding Children: Resource Guidebook - Detailed guidebook with information about children's rights, building healthy parent-child relationships, and understanding how children think and feel. From infancy, children are learning morals, values, attitudes, and expectations of themselves and others (Head Start Framework, 2001). Research shows families that view themselves as life-long educators have children who are more likely to be socially competent, have increased cognitive skills, better literacy, expressive language skills and increased positive interactions with others. Each childhood provider can partner with parents to ensure they view themselves as life-long educators by offering parents a variety of learning opportunities (Head Start Framework, 2001). Early childhood educators should emphasize the importance of taking action and getting involved during the early years. If parents and families are engaged, the transition will be easier for children moving into a new school dynamic where parent-led engagement is not as prevalent (Harvard Family Research Project, 2006). This section includes forms and samples early childhood providers can use and offer families to increase involvement. Families as Life-Long Educators – Head Start Framework article with research on this topic. Parent/Teacher Conferences - Do's and Don'ts for teachers, parent/teacher conversation forms, parent conference scheduling form and conference instructional sheets. Developmental Checklists (Birth to 5) - Ongoing checklist teachers can use to observe children's skills from birth to age 5. Child Development Progress Report - Developmental checklist teachers can use to observe children from ages 1-5. VPK Skills Checklist - 4-year-old checklist to assess a child's school readiness. Parent Questionaire for Preschool - VPK questionnaire to gain information from parents about the child at the beginning of the school year. Getting to Know Your Child - Infant, toddler, and preschool information sheets to give to parents at the beginning of the school year. Bridging Home and School - Instructional article for teachers with an attached article to present to parents regarding this topic. Sorting Activities for Your Child - Instructional article for teachers with an attached article to present to parents regarding this topic. Research shows children who have home and learning environments that support and compliment each other are more successful across all developmental areas. The National Association of the Education of Young Children notes how important it is for families and teachers to establish a trusting relationship at the beginning of care (Magruder et. al., 2013). Building strong bonds between families and teachers allows both parties to help children succeed, and provides a median for teachers to see what parents need to maintain an active role in their child's learning. These trusting relationships mean teachers are more likely to discover issues involving learning, mental health, language barriers and financial barriers that often prevent families from providing a safe and/or productive learning environment at home (Head Start Framework, 2011). This section outlines some activities and resources providers can make available to families to support them along their way as learners. Families as Learners - Head Start Framework article with research about this topic. Volunteer Opportunities for Families - Lists the various ways families can volunteer within your child care center and a sample flyer to draw parents' attention to volunteer. Types of Information to Share with Families (jobs, classes, etc.) - Sample flyers of community events, information and center-based events that could benefit families. Aggressiveness in Children - Instructional article for teachers pertaining to the topic and a printable article to share with parents. Choosing Software for Children - Instructional article for teachers pertaining to the topic and a printable article to share with parents. Choosing Healthy Foods for the Family - Printable brochure for families and providers with helpful tips on making healthy choices. Hydrating the Body - Printable brochure for families and providers with helpful tips on proper amounts to drink for children and adults. Citizenship and ESOL Classes - Link to Jacksonville's Center for Adult Learning, which hosts free classes for adult learners. Free Computer Classes for Adults - Link to the Jacksonville Public Library website which lists free computer classes for all. Free Financial Literacy Classes - List of upcoming financial literacy classes offered to the public. Register for a Public Library Card - Follow this link for instructions. Life transitions can be difficult for most people because of the element of surprise and, often times, because of a threat to safety or security. The key is preparation. Families must ensure children are safe and secure during any transition, including the move to kindergarten or any other early childhood environment (Head Start Framework, 2011). Therefore, it is important for educators to provide parents with vital information and offer them guidance. This section outlines ways early childhood professionals can aide families. Family Engagement in Transitions (Transition to Kindergarten) - Head Start Framework article with research about the topic. Information about VPK and Kindergarten Registration - A list of documents parents need in order to sign up their child. There are also direct links to the website to register online or get more information. Parent's Guide to a Successful Kindergarten Transition - Printable brochure to give to parents with helpful information. Kindergarten Transition Packet - Kindergarten transition calendar with activity ideas for teachers, videos for families, and articles about the importance of a smooth transition. Transitioning to Kindergarten Booklist - List of books about transitioning to kindergarten and books commonly read in kindergarten. Get Ready to Read Screening Tool - Free screening tool for preschoolers with the following topics: print knowledge, linguistic awareness, and emergent writing. Sample Letters about Transitioning - Fill in the blank sample letters to give to parents. Moving and Young Children - Instructional article for teachers pertaining to the topic and a printable article to share with parents. Parents and families often find themselves multi-tasking, problem-solving and trying to meet others' needs, while also working inside and outside the home. Given that these vast responsibilities coincide with that of advocates and leaders, it is not far-fetched that parents/families should become advocates and leaders themselves (Head Start Framework, 2013). There are great benefits to families becoming advocates and leaders since they are also role models for their children. This section outlines ways early childhood providers can encourage advocacy and leadership through effective communication, offering volunteer opportunities, increasing parent self-confidence, developing relationships and sharing responsibility. Advocacy Training Toolkit – This is a resource for building a structured approach to advocacy. Families as Advocates and Leaders - Head Start Framework article with research about this topic. Establish a Parent Advisory Council - Step-by-step presentation with tips for child care centers interested in starting a parent advisory council or network. Parent Advisory Council - Sample invitations, agendas, note parents, and ideas for conducting your parent advisory council. Distribute Parent Satisfaction Surveys - Printable parent satisfaction surveys to give to parents. The suggested use is to give to parents yearly, at the end of the program year. Invite a Legislator or Political Figure to Your Center - Sample, fill in the blank letters, with formal language to invite officials to your center. More Advocacy Tips - Tips on how to talk to a legislator, key advocacy terms, and ways to support your issue, as well as ways to keep track of information and some follow-up procedures. Provide Voter Registration Information - Frequently asked questions about voting and direct links to voter registration. Creating a family-friendly environment is one of the first steps to providing an atmosphere conducive for successful family engagement. This would not be possible without staff that is warm, open and friendly. Providers should clearly explain their expectations and values, regarding families, to all staff members. Quality training will also empower them as professionals and stress accountability (Hochberg, 1993). Centers/Programs should always acknowledge and embrace families by considering the varying cultures in the population. Teachers should also learn what they can about a families' home and work lives to better understand the demands and needs of their families (Global Work/Life Fund, 2004). Providing an open-door policy, likewise, allows families to feel open to express themselves about any concerns/struggles they are experiencing. It also helps teachers and administrators to become more flexible and create varied methods of communicating with families. It creates a space, as well, for parents and teachers to have positive interactions. Strategies for Creating Family-Friendly Environments - List of simple ways to make your center family-friendly. Examples of Family-Friendly Flyers and Displays - Ideas to display teacher information, staff appreciation boards, parent information boards, and family photo displays. Guide to Family-Friendly Childcare Centers - A parent's guide to identifying a family-friendly environment and how to work together with their child's teacher. Communicating with families can be a difficult task to carry out, but effective communication with parents is worth it! When providers and families communicate effectively, children learn more and both parents and children feel supported. In addition, providers gain useful insight into the child's home life, culture and any special circumstances, and can then provide families with helpful community resources (Kreider, Mayer & Vaughn, 1999). It is also important that the communication is child-focused, intentional and includes both challenges and achievements. This helps sharpen a teacher's ability to discover and seize teachable moments for parents. Even short interactions with families provide meaningful information (Highscape Extensions, 2012). Ultimately the goal is to build trusting relationships so there is a mutual exchange to increase the child's overall development. It is up to the provider to decide what methods of two-way communication to use in their center/program. This section offers some simple ways to incorporate two-way communication (Kreider, Mayer & Vaughn, 1999). Strategies for Increasing Communication with Families - Ten tips for effectively communicating with families. Communicating via Social Media - Eight tips for child care centers on communicating via social media. Communicating with Families - Five instructional articles for teachers on various topics, with printable articles for parents relating to each topic. Tips for Creating a Newsletter - Tips for creating a newsletter and a newsletter outline template. Newsletter Samples - Samples of different formats, headings, and ideas for creating a newsletter. Sample Daily Reports - Printable samples of infant, toddler, and preschool reports. Sample Display Boards for Families - Examples of ways to display information for parents. Examples of Information to Share with Families - Examples of various forms of information to share with families. Best Parent-Teacher Communication Apps - Five parent-teacher communication apps to use with families to keep them informed on their child's progress throughout the day.